Biltmore in Arizona is a luxury area in Phoenix. The Arizona Biltmore Waldorf Astoria, a luxury resort that opened in 1929, was the design collaboration of Frank Lloyd Wright and Albert Chase McArthur. The resort was built of “Biltmore Block”, pre-cast blocks made on site from desert sand in 34 different geometric patterns. Around the resort, luxury residences have continued the elegance of the resort and have been built in phases over the last 20 years. The newest phase of the Biltmore Estates being Two Arizona Biltmore, a gated community with 38 residences. As Phoenix’s prominent resort area, there are many exciting things to do in these luxury neighborhoods. The Wrigley Mansion on La Colina Solan is a famous historic site. The Links and Adobe golf courses are championship courses for the avid golfer. The Mountain Preserve city park has all the amenities you look for in a park. The Biltmore Fashion Park has quality retail shops and restaurants offering fine dining. If you aren’t into golf, you can enjoy the beautiful outdoors by taking a hike on the mountain or by exploring some of the historic trails. There are many local gyms in these neighborhoods if you prefer getting your exercise that way. Of course, you can view the many amenities of the Historic Biltmore Waldorf Astoria, from admiring the architecture, to taking advantage of the many things they offer. Real estate in Biltmore offers both condos and luxury homes. You can choose from mansions on the mountainside to patio homes in some of the small private guarded communities. You will find many of the luxury homes can have up to seven bedrooms and are situated on beautifully landscaped lawns. There are equestrian opportunities in the surrounding area, as well as different shopping and dining experiences from nearby communities. When you consider the elegance of the area, the premier homes, and upscale shopping, you will see that this is a must-consider destination for home buyers searching for homes in the Phoenix area. If you would like more information on homes for sale in Biltmore in Arizona, please contact us today and allow us to assist you. 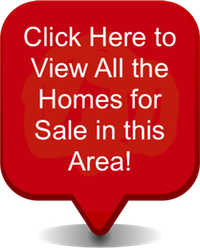 Access all Biltmore homes for sale and real estate here. Properties in the Biltmore are updated daily from the MLS, so be sure to return here for the newest listings for sale in the Biltmore.